What it is: Lip-quenching balm hydrates, softens and soothes. What it does: One smooth, even swipe hydrates and conditions, leaving lips feeling soothed and comfortable. Perfect to wear alone or under lipstick for an extra moisture boost. In three luscious shades plus a clear, non-tinted balm. Explore the entire range of Lip Balm available on Nykaa. 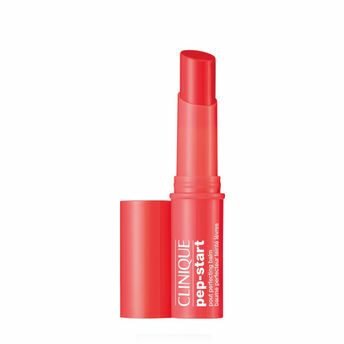 Shop more Clinique products here.You can browse through the complete world of Clinique Lip Balm .Alternatively, you can also find many more products from the Clinique Pep-Start Pout Perfecting Lip Balm range.